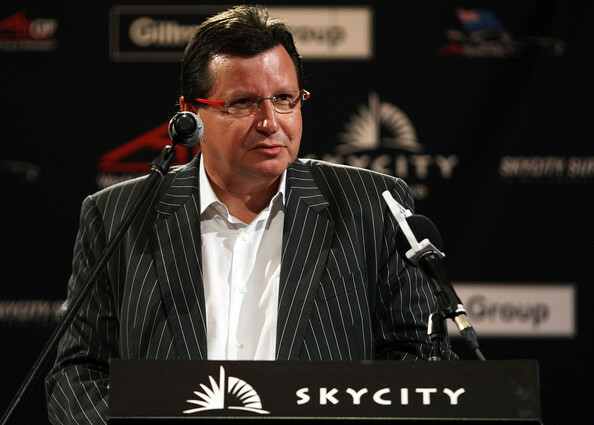 SkyCity CEO Nigel Morrison “not telling the truth”. SkyCity CEO Nigel Morrison has defended the employment practices at his company in an “Opinion” piece entitled “Human Capital key to corporate success” in the NZ Herald on Thursday. A number of his claims are misleading, contain only partial truths or are exaggerations. In one important respect when discussing a SkyCity worker what he says is simply untrue. To pride oneself on being a non-minimum wage employer when the start rate for many positions in the employment agreement is only 10 cents above the minimum wage is a partial truth at best. Apprentice chefs are also paid less than the minimum wage so to say “all” SkyCity employees are paid above is not accurate. To boast about the training staff receive when the company deliberately changed its policy in order to stop paying trainee table game dealers during their training is a bit misleading. Now when SkyCity takes employees from WINZ, the taxpayer is paying a benefit to the worker during unpaid staff training. They then subsidise their wages for a period if subsequently employed. Guaranteed hours of work is the single most important issue facing Unite members employed in the service sector. Unite has been working hard and investing a lot of time to try and get more secure hours for workers in all the industries that we represent workers in. Unite is pleased to inform members that we have made a breakthrough around securing minimum hours of work for hotel workers this month. In the past hotel workers enjoyed full time employment. However, in recent years there has been a major shift towards part-time and casual work in the industry.This has been of significant concern to our members as even if a reasonable pay increase is secured it does not go far where there is no certainty of being rostered work for the week. Accor (NZ largest hotel company) has made a significant move for the hotel industry by offering to guarantee most employees a minimum 25 hours work per week after one years service. Unite welcomes this change which is a major shift in the hotel industry from no guarantee to providing their employees with minimum hours per week. Research done by Accor showed that most union members were already working an average of 25 hours per week and they were prepared to acknowledge this step to offer certainty to employees. 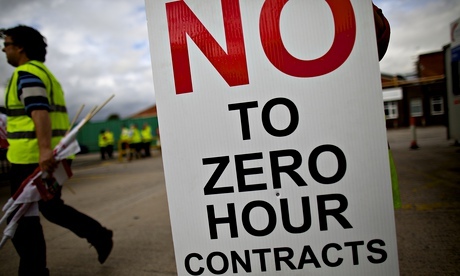 All around the world attention is being drawn to what have been dubbed in the UK “zero-hour contracts”. These are contracts that don’t have any guaranteed hours even though the worker may be regularly employed. Unite Union has been struggling with exactly this problem since we started organising in sectors that had lost union protection during the 1990s. What we discovered was that large sectors of the working class in this country had no guaranteed hours of work. This applied to fast food restaurants, security, cinemas, call centres and hotels. This doesn’t just apply to completely casualised sectors. The SkyCity Casino in Auckland is a 24-7 business with over 3000 staff. It knows pretty exactly how many customers it will have on any particular day of the week. It has every ability to have most workers on full-time contracts. Instead it keeps two out of three workers on part time contracts with only 8 hours of work guaranteed each week.